Camera Extended Warranty Options: Should You Buy One? You've spent hours studying your digital camera purchase, shopping at various stores, comparing a seemingly endless number of models, and listening to mind-numbing sales pitch after sales pitch. Even after selecting a model, though, you have one more sales pitch coming before your credit card goes through the machine, meaning you'll need to understand your camera extended warranty options. Should you buy an extended warranty for your camera? This is a tough question to answer, and personal preference will play a large role in determining what you ultimately do. So to help you decide whether you should buy an extended warranty for your camera, just continue reading the tips and advice below. An extended warranty adds additional time, usually a few years, to the coverage for your digital camera. Most extended warranties also usually provide more extensive coverage than the standard manufacturer's warranty does. For example, some types of extended warranties might cover repairs to a dropped camera, while a standard manufacturer's warranty almost certainly will not. If you need more information on the various types of warranties available, check out the linked article. Extended warranties are not limited to cameras, as you can purchase them for almost any high-tech item, so you're probably familiar with them. That doesn't make the choice any easier regarding your new digital camera, though. The decision as to whether you should buy an extended warranty is a tough one. It pays to have done your homework ahead of time, rather than making a snap decision as you're holding your credit card and paying for the camera. Always keep this in mind when deciding whether you should buy an extended warranty for your camera: Stores make a lot of profit on extended warranties. The stores don't advertise the exact amount of profit they make on extended warranties, sometimes called service contracts. However, common sense tells us that if the stores didn't make a profit on the warranties, they wouldn't offer them. That doesn't mean you shouldn't purchase one, but you should remember that the stores aren't simply offering the extended warranties out of a sense of kindness. Don't think that because you've studied an extended warranty on an iPod at one store that you know everything about all extended warranties. Different stores offer different types of extended warranties, and the warranties differ based on the type of product. The best kind of extended warranties will fully cover any repair cost or a replacement cost for your camera, regardless of the cause of the problem. For example, some extended warranties won't cover your digital camera if you drop it; others will. Because a digital camera stores its image data on a memory card, you can almost certainly recover your photos, even if the camera breaks. By contrast, with a laptop, it's not easy to retrieve your data if the laptop breaks down. If you're simply worried about retrieving your data, perhaps an extended warranty makes less sense with a digital camera than with a laptop computer. Make sure that the extended warranty covers problems above and beyond the manufacturer's standard warranty. You'd be surprised how often people purchase an extended warranty that exactly matches what the manufacturer already promises for no cost. Be sure to read the fine print on any contract for an extended warranty, and make sure you know exactly what it covers and doesn't cover. Don't rely on the salesperson to explain the extended warranty's features and rules compared to the manufacturer's warranty. Sometimes, convincing a manufacturer to honor its warranty can be a hassle. You may have to mail the camera to the manufacturer at your cost and then wait to see whether the company will cover the repair costs. The manufacturer's warranty usually will only cover defects, too, rather than a camera problem you caused. With many extended warranties, you simply take the camera to the store where you purchased it. The store then takes care of all of the repairs or mails it to another repair location for you. 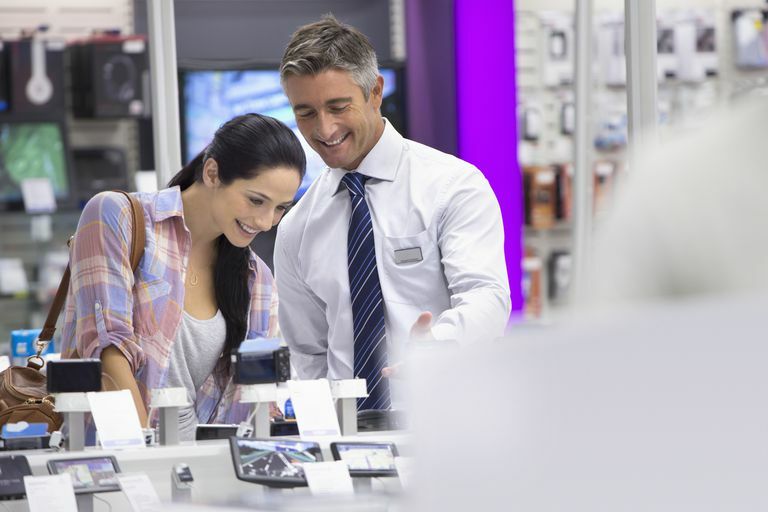 Such repairs can be lengthy, however, and forcing a store to honor an extended warranty sometimes can be a hassle, especially if you have a disagreement with the store about what types of items the extended warranty will cover. Essentially, the extended warranty is an insurance policy. When thinking of it as insurance, it helps to run a calculation of the warranty's cost versus the camera's value. If the extended warranty costs $100 for a $250 camera, that's 40% of the cost of the camera, which might be a bit high for a $250 camera. However, if the extended warranty costs $175 on a $900 camera, that's about 20% of the cost of the camera, which seems far more reasonable. It also helps to think about the cost of the extended warranty over the amount of time that it will be in effect. For example, spending $200 for a two-year extended warranty is $100 per year, which is vastly different than spending $240 for a four-year extended warranty at $60 per year. Ask yourself: Would you be better served by taking the $200 for the extended warranty and putting it aside, aiming it toward the purchase of a new camera in a few years? A new camera will give you the benefit of new features and technologies. If your old camera needs to be replaced under an extended warranty, you're not going to receive the benefit of new features. You don't have to perform an extensive search on the Internet to find thousands of horror stories concerning extended warranties. Most of us probably know someone who benefited from having an extended warranty, though. So should you purchase an extended warranty when you're buying a camera? Unfortunately, this is one of those cases where one answer doesn't fit all of the situations. Some people will say "no" immediately. Some will say "yes" every time. You probably should be in the "maybe" category. Give the issue some thought before you arrive in the checkout lane, learn all of the rules concerning this particular extended warranty, and figure out whether it makes sense mathematically. Whichever decision you make will then at least be an informed one. When it comes to deciding whether to purchase an extended warranty, that knowledge gives you a big advantage.